Tell-tale Signs: Is it time to Repair, Replace or Restore your Roof? Your roof is the most important piece of your home, knowing when to repair, restore or replace your roof can be a handy skill. If you’re not looking at roofs every day, how are you to know what to look for though? Every roof has a shelf life, and around the 25 year mark is the average for some roofs to need significant repairs or restoration. So, what should you be looking for and when is it time to call a roofing contractor like Horizonline Roofing? Read on for our list of tell-tale signs and some of the things we look out for when inspecting roofs. All buildings have a lifecycle, and so do their components. Roofs, walls, gutters, eaves, each element has an expected worry-free time frame and for roofs, whilst they are built to last, immunity in Australia’s climate is non-existent. When you purchased the home, a building inspection should have been completed and this will generally give you an idea of the last time works were completed on the roof structure. If your roof is coming up to its 25th birthday, it may be worth having a investigate your roof and give you an idea of what’s happening up there. Adelaide can be prone to some extreme weather changes, from blistering hot to freezing overnight temperatures; not to mention bushfires and storms. These weather events can wreak havoc on your roof. So, if you have started to notice some cracked tiles on your roof, it’s time to call the professional roofers to check it out. 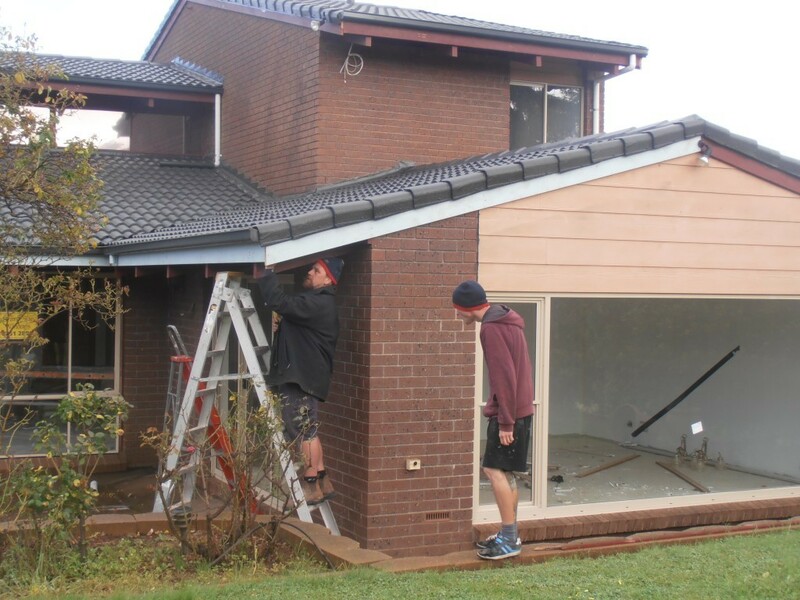 Depending on the severity of the cracked tiles, you could be looking at simply replacing the cracked tiles; however, if the cracking is extensive or in more than one place, you could be looking at a full roof replacement. Its important either way to know as cracked tiles can allow water into the frame of the home, which can lead to even more costly issues. If you can see through cracks in your roof tiles, or you’re up in the ceiling and can see sunlight, rain then also has free access to your roof space, along with animals, algae and other foreign objects that do not belong in your roof. This can lead to water damage in your ceiling and walls, so whilst you may not need to replace the roof, you should give your roof the attention it needs quickly to prevent further damage. This is a big indicator of significant structural problems and may not actually be an issue with the roof at all. If your roof is sagging in places or completely, you need a contractor to investigate as soon as possible. So, if you need to or are considering replacing your roof rather than repairing or restoring it, here are some of the benefits to consider. Replacing your roof can protect the overall structure of your home and decrease overall maintenance needs as well as preventing serious issues like water penetration and structural damage. A new roof can also be easily replaced in the event of a storm, an older roof is harder to replace on a like for like basis. With a new roof installation comes the opportunity to update insulation and other facets of the roof space. It can even add to your property’s street appeal if you are looking to sell in the future. What about restoring your roof? The key benefit to restoration is prolonging the life of the structure and keeping your home safe for many more years to come. Roof restoring, Replacing or Repairing your roof is not for the faint of heart. Avoid costly mistakes and discover how Horizonline Roofing can help you and your home by getting in touch today. Call to speak to one of our friendly team on (08) 8380 5796, or you can fill in our contact form and we will be in touch shortly.